Shame is one of our most central feelings and a universal human characteristic. Why do we experience it? For what purpose? How can we cope with excessive feelings of shame? In this elegant exposition informed by many years of helping people to understand feelings of shame, leading Jungian analyst Mario Jacoby provided a comprehensive exploration of the many aspects of shame and showed how it occupies a central place in our emotional experience. 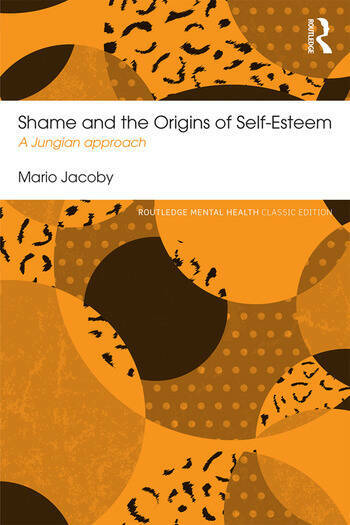 Jacoby demonstrated that a lack of self-esteem is often at the root of excessive shame, and as well as providing practical examples of how therapy can help, he drew upon a wealth of historical and cultural scholarship to show how important shame is for us in both its individual and social aspects. This Classic Edition includes a new foreword by Marco Della Chiesa. Foreword to the Classic Edition. Foreword. The Phenomenology of Shame and Shame-Anxiety. The Psychological Meaning of Shame. The Feeling of Self Esteem. The Psychogenesis of Shame and Susceptibility to Shame.Variations on the Experience of Shame. Motifs of Shame in the Therapeutic Relationship. Psychotherapy with Problems of Self-esteem and Susceptibility to Shame. Mario Jacoby was a training analyst, lecturer and member of the Curatorium of the C. G. Jung Institute in Küsnacht and of ISAPZURICH, founded in 2004. His other books include Individuation and Narcissism: The psychology of self in Jung and Kohut and Jungian Psychotherapy and Contemporary Infant Research (both Routledge). He died in 2011.